Our family will be making our first visit to Walt Disney World in just a few weeks. My husband and I have spent quite a bit of time planning in order to make this a memorable trip for our children. Being in their tweens and early teens, among the many things I thought they would enjoy is Disney pin trading. How did I get them started? I bought a large lot of pins from a reputable seller on Ebay, and used them to fill their advent calendar this past Christmas. I also bought them lanyards to put their pins on. What I didn't expect was that my co-workers generously sent my children another large lot of pins for the holidays. How awesome was that of them? Having way more pins than we could fit on their lanyards, I had to come up with a way to store the children's pins for easy trading during our trip, while keeping the ones they want to save for their collections separate. 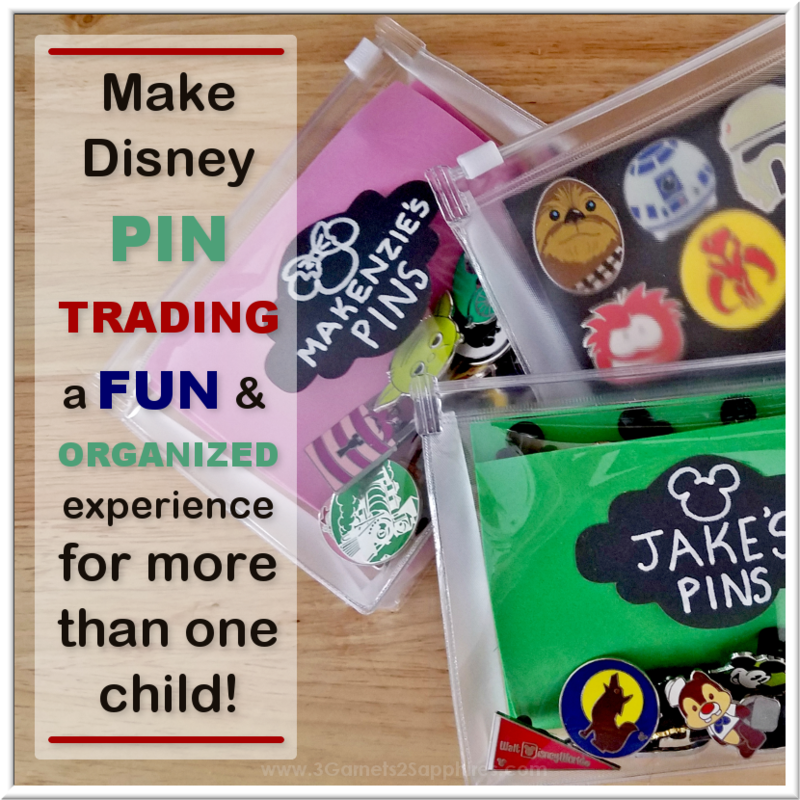 It would have been much easier if they were the sharing type and would be willing to combine all the pins they want to trade away in one container. Alas . . . that is not the case. So, here is what I came up with . . . Step 1. Use your chalkboard marker to write each child's name on a label (one name per label) as pictured below. We chose to use a white marker, but you can choose almost any light or bright color. Step 2. 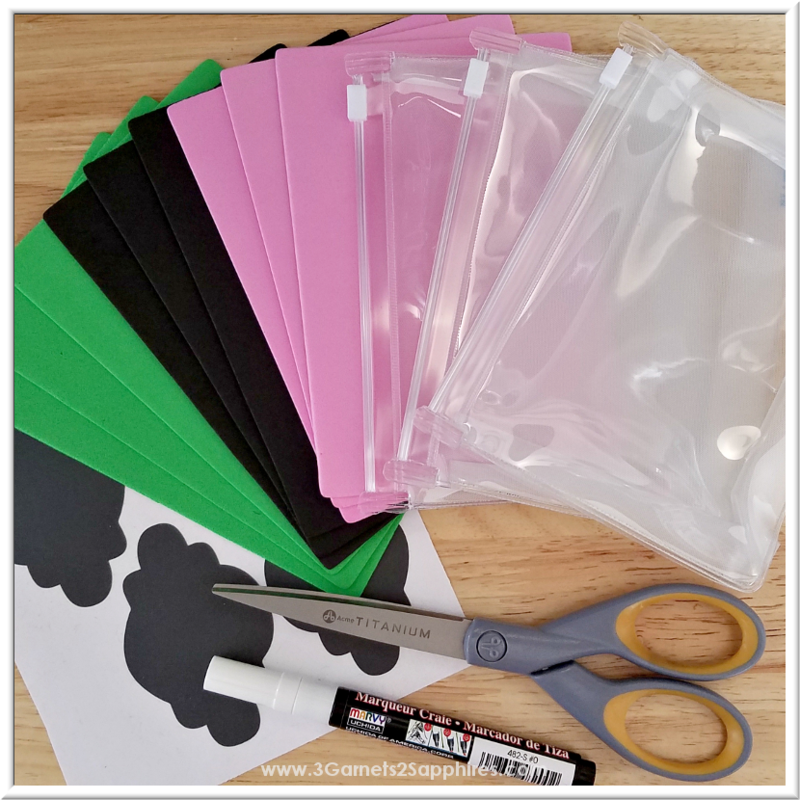 After the labels have completely dried, center each self-adhesive name label on the clean exterior front side of your clear pouch. Then press down firmly to apply the label securely. Step 3. Select one color of foam for each child. Then trim 1-1/4" off the longest side of each foam sheet, resulting in a 4"x4-3/4" sheet. 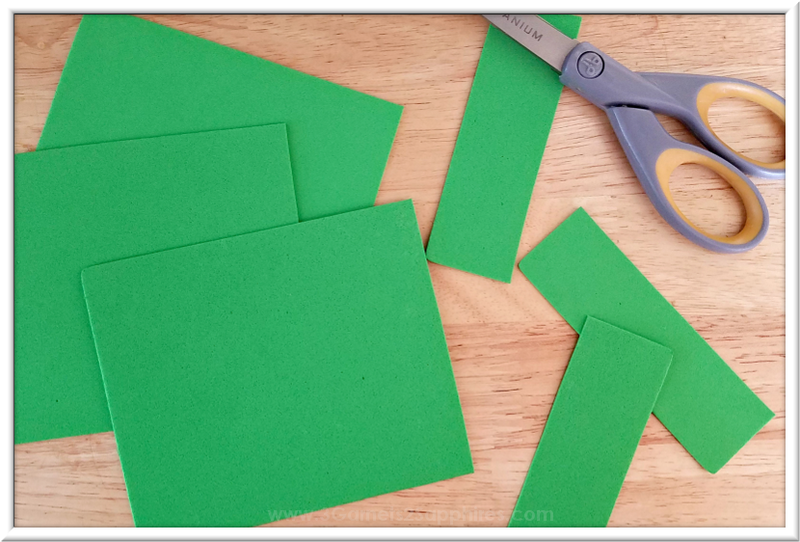 Do this for 3 foam sheets (more can be added later). Step 4. Place one foam sheet inside the pouch to act as a divider. 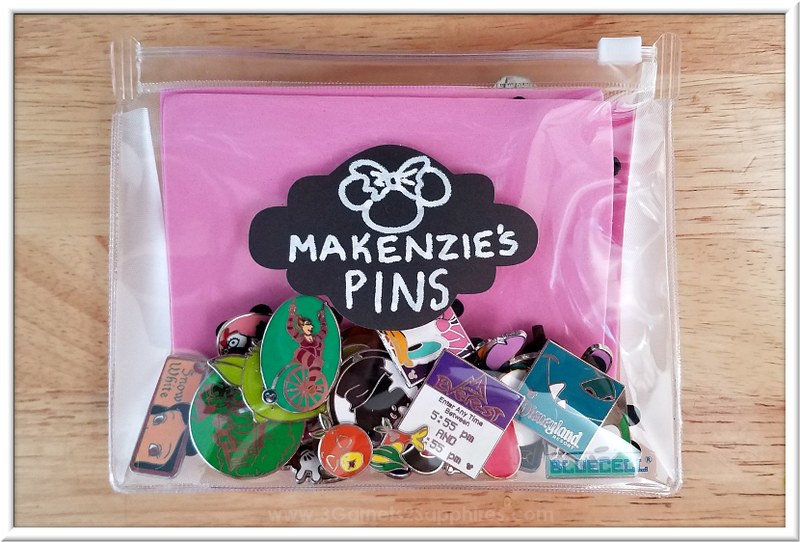 Then attach all the pins your child would like to KEEP on the remaining foam sheets by pushing the pins through the sheets and securing with the official Mickey pin backs. 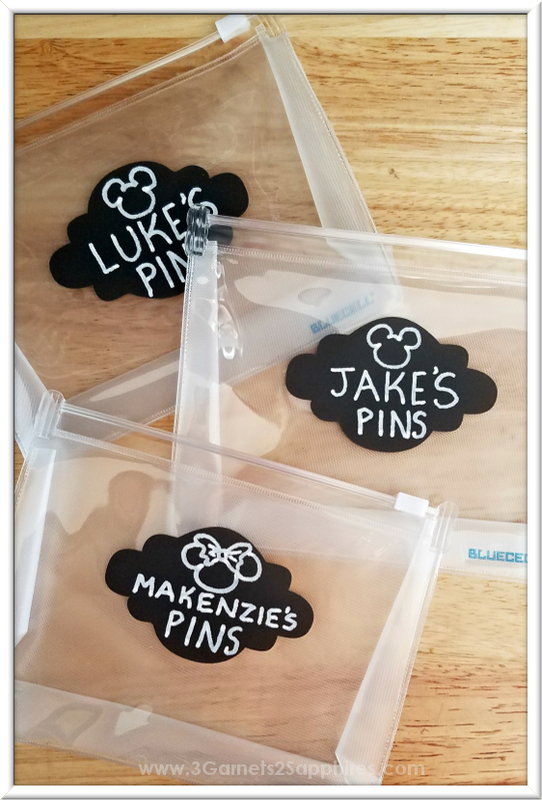 When done, insert the sheets with the pins into the clear pouches with the pins facing the back of the pouch (the side without the name label). 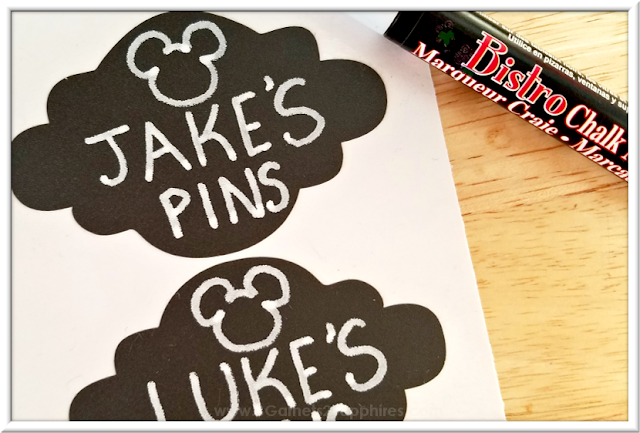 TIP #1: I ordered some extra Mickey Mouse pin backs because my youngest son already lost one. Disney Parks pins are not tradable unless they have the official Mickey head backings, so it couldn't hurt to have some extras on-hand. Step 5. 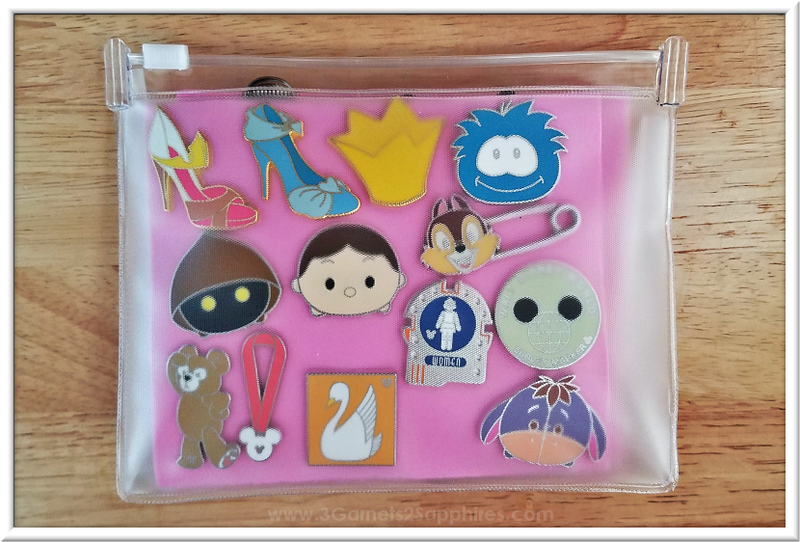 On the other side of the divider, fill the front side of the pouch with all the Disney Parks pins your child WANTS TO TRADE away. These pins will remain loose and will be easy for your child to grab one when making a trade. TIP #2: I took a friend's advice and had my children put the pins they wanted to trade away the MOST on their lanyards. Then they can replenish their lanyards with the loose pins from their pouch anytime. When a child has acquired a new pin to add to their collection, they can either drop it into the backside of their pouch or quickly pin it onto one of the foam sheets. This little pouch is compact and easy to carry. Each child will have a small daypack with them, so they can each carry their own pin pouch. One less thing for mom or dad to carry, right? If you like this DIY project, Pin It for later . 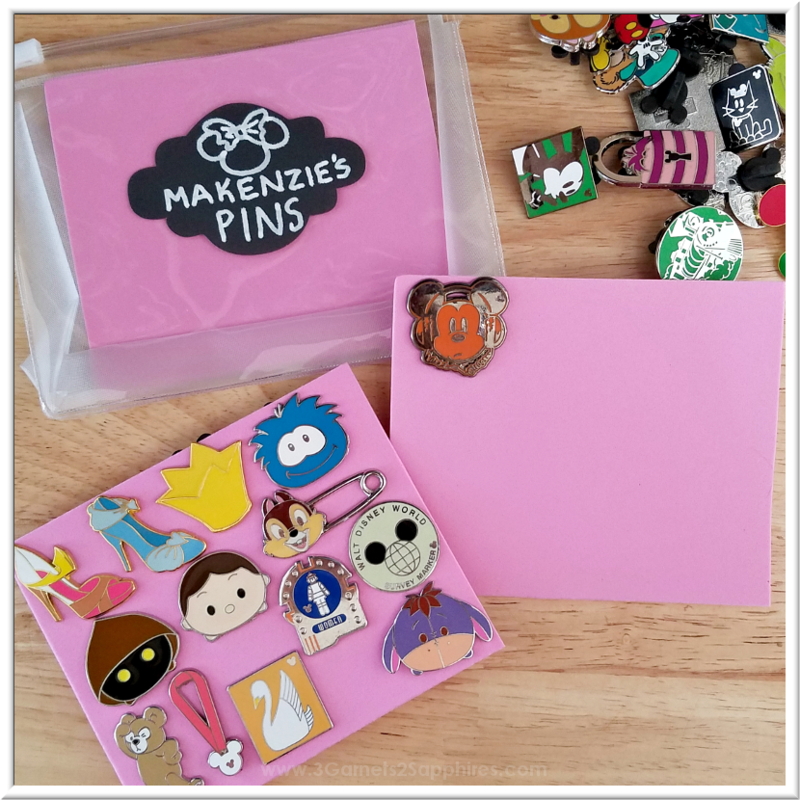 . .
What tips do you have about Disney pin trading?